View Printable Coupon for discount offers. Join us for the 31st season of the national award winning Storybook Land Theatre Company’s series of children’s play in the Storybook Land Castle this summer! This is free entertainment for the whole family. A different play will be presented each week for six weeks with three, weekly performances. Plays are co-sponsored by the Aberdeen Arts Council and the South Dakota Arts Council through funds from the State of South Dakota and the National Endowment for the Arts. Thursday, July 4 Performance is at 5:00 p.m.
A first rate campground adjacent to a wonderful amusement park "Storybook Land". The campground has a very nice lodge with bathrooms, laundry, and basic supplies. If you're traveling alone or as a couple with no kids and just want one quiet night, this is not the place for you. It is very kid oriented and you pay the price for that; $37. The "trails" are paved pathways. I thought these were real trails. I'm a hiker so that was disappointing. Great for kids but not good for single adults or older couples. 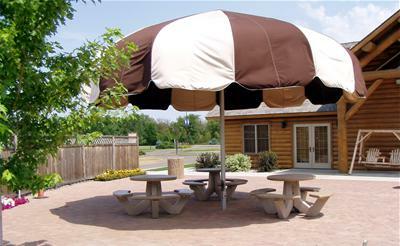 Well-groomed RV park within a large park area offering activities such as fishing & paddleboat rentals at a small lake, picnic areas, Storybookland, playgrounds, and a small zoo. Stayed 3 nights in late June 2016. Pads are a little narrow but have full hookups. Most sites have shade trees and a nice grassy area. Lots of walking trails in the park area are a plus. Very comfortable place to stay. 15 minutes or less from groceries, ice cream (try Twist Cone! ), and other shopping. Nice place for all ages, definitely family-friendly. 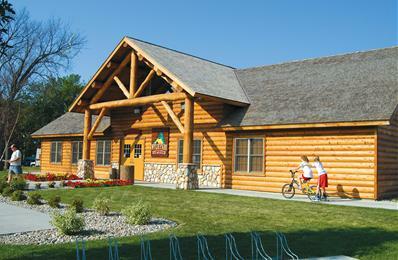 A beautiful 200 acre park with many special attractions that provide hours of family fun. The park offers 99 campsites with pads, water and electric and 44 have sewer hookups. A very popular for young and young at heart this campground offers a popular play area that will take you into the land of favorite nursery rhymes along with a zoo, mini golf, paddle boat and canoe rentals.